We’ve done lots of posts about how something as simple and inexpensive as a paper or plastic bag can make a big impact as a promotional product. The humble imprinted bag can raise awareness about things as diverse as autism, pain relief, nail biting and fitness. 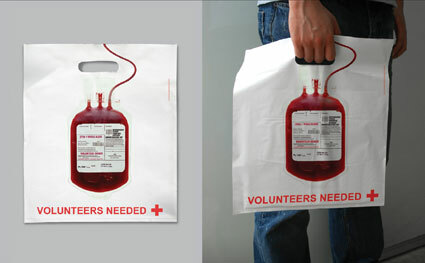 Still, it never hurts to add one more example, so here we have a custom printed plastic bag that promotes blood donation done for the Red Cross.